If plans for a Seattle NHL expansion franchise move forward, the 2017-18 season of the Vegas Golden Knights will certainly provide a model for early success. With the Oak View Group expected to begin a major renovation to KeyArena later this year, a group has been working to bring an NHL expansion franchise to Seattle. The expansion application was submitted in February, and the push is on to gain approval for a Seattle franchise, which could begin play to coincide with the completion of the renovation in 2020. While that it has not yet received formal approval, Seattle could become the latest NHL expansion franchise since the Vegas Golden Knights. The Golden Knights began play this year at T-Mobile Arena–which has been hailed as both a hockey arena and a venue for major events–and achieved success on the ice, as they are currently competing against Winnipeg in the Western Conference final. “I don’t think that necessarily their success guarantees ours. I think their success comes from having really smart people,” said Tod Leiweke, whose resume includes being No. 2 in command at the NFL before he joined Seattle Hockey Partners to work with owners David Bonderman, a billionaire businessman, and TV/movie producer Jerry Bruckheimer. Tim Leiweke, a former Kings and AEG executive, heads the Oak View Group, which plans to gut KeyArena — except its iconic roof — to build a bigger, grander version. He admires Vegas’ feats and played a role in their history: While with AEG he was involved in the vision and creation of the partnership between AEG and MGM Resorts International to build an arena before the team existed. 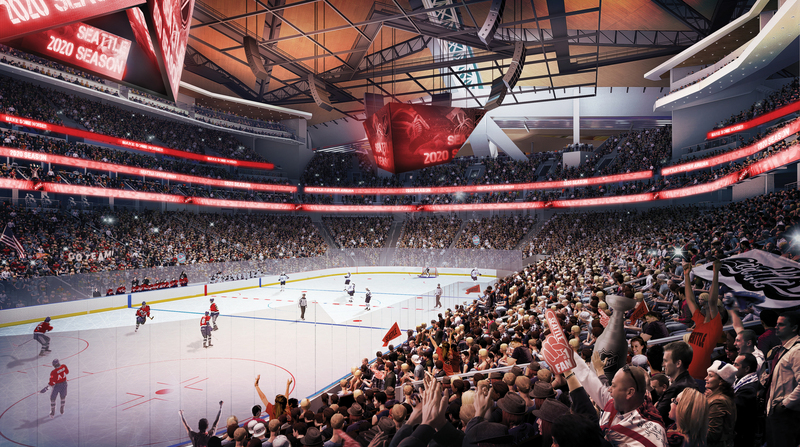 Oak View Group has been looking to begin work on the KeyArena renovation this October, and have it completed in time for the 2020-21 NHL season. The renovation will bring the venue to modern NBA and NHL standards, potentially allowing Seattle to land franchises in both leagues. However, the NHL is viewed as the more imminent possibility.